Here is what other home sellers had to say about us…. An easy way to figure out the best company or product to choose is look at their business reviews. You’d check out the reviews on a new car before buying it right? Why not on the company you sell your house to also? We invite you to look at other we buy houses reviews as well as our own below. Don’t stop with our own testimonials below and other we buy houses reviews…look for a company that does NOT hide in the shadows. 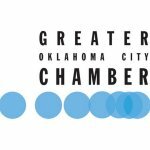 W Properties is BBB accredited, a Greater OKC Chamber of Commerce member, AND operated by a licensed agent with the Oklahoma Real Estate Commission (#170512). We put our company out there and make sure we are holding ourselves to the highest standards, laws, and regulations. Who would you trust with buying your house? Someone running a fly-by-night company or one that is licensed and vetted by local, trusted associations? Numerous investors contacted me sending notices and requests to purchase a little house my parents owned. The offers they made, even after I explained the mortgage was upside-down, were quite offensive so I admit I was not pleasant to Tyler when he first contacted me, I regret that now. Regardless of my attitude Tyler remained very patient, polite, and kind, always answering every question, and timely responding to every email. I don’t know what I would have done without his help, he has truly saved the day, and I recommend him without reservation. I can not think of strong enough language to describe the professionalism and patience of Tyler and his company. I look forward to the opportunity to work with you again in the future. All the best to you, Tyler and thank you!! My husband and I have each worked in real estate sales for over 30 years. We’ve been contacted by numerous investors about buying our rental properties, which typically were grossly insulting, so were hesitant to deal with Tyler. I very pleased to say that not only did he do everything he agreed to do, but was honest and a pleasure to work with. Thanks Tyler you are an exception to the rule on investors. My sister and I, in our 80’s, living in Iowa and Hawaii respectively, decided to sell our rental properties in Tulsa which we could no longer properly care for and manage. Consisting of three 4-plexes and a 20 unit complex, we expected a long, arduous, possibly contentious process involving multiple buyers and all kinds of delays, obstructions, offers and counter offers. And in fact, that is exactly what happened with our first buyer, which we finally rejected. Fortunately, we were also contacted by Mr. Tyler Weinrich of W Properties, who made us a full price offer! Upon performing his due diligence, during which time he was constantly in touch with us and our Tulsa attorney, there were only a few major deficiencies that required our attention, and Tyler was very fair and reasonable in helping us address them. In fact he proposed the solution that allowed us to use our insurance coverage to our maximum benefit. Upon closing he immediately transitioned our tenants and utilities smoothly and with proper concern for their well-being. We could not be more happy with W Properties, Tyler, and the way the whole transaction was handled. We highly recommend W Properties to anyone who is selling their home, or multiple properties as we were; you will be in good hands. On a scale of 1 (worst) to 10 (best), how was your experience in working with us? Would you recommend us to a friend or family member that needed to sell a house? In your own words…truth and all…describe your experience in working with us to sell your house. I would recommend Tyler and W Properties to anyone selling a house. Fast and fair offer and you avoid the realty fees. Very very sweet young man!! Very patient and polite while we got everything sorted out. I know he will take great care of my grandparents home. Tyler would be the first person I call if I had to sale another home too again. We had a wonderful experience selling our home to W Properties. Tyler worked with us and was very easy to work with. He was very polite, respectful, and willing to work with what we were asking for the house. If we had it to do again, we would certainly work with him in a heartbeat. Thank you Tyler, for making our experience a great one! I was randomly looking for someone online to buy our property in Guthrie after the Realtor failed to sell it. I called the first number I came across and lucky for us we found Tyler at W Properties. Not only did he go look at the house quickly…he had an offer and we signed a contract in days. We closed on this property in less than two weeks…. We will work with him again and we cannot thank him enough for helping us sell our Guthrie property. Tyler is a nice young man, quick to respond to texts, calls & emails. He is a no pressure guy, easy to negotiate with and let me set the date to close so I had time to remove sensitive information and personal property from the house. He said his crew would donate, recycle or dispose whatever was left in the house. I have already recommended him [W Properties] to others who are considering selling a rent house. Tyler [W Properties] is fair and professional. There was a delay in the closing date to sell my house due to circumstances outside of Tyler’s[W Properties] immediate control, but he kept me informed and even compensated me for the delay. I recommend him [W Properties]. Tyler [W Properties] was so easy to work with. Everything went great and quickly!! We found W properties on the internet. Called Tyler and met with him. He is honest, friendly, and very professional. W Properties bought our home and we are very happy with them. We highly recommend them to everyone. Thanks Tyler for working with us, we appreciate it very much. I had a rental property that I was ready to sell. Did a lot of research before contacting Tyler. He returned my call quickly, we met at the house for an evaluation and I had an offer within a day. The sale closed quickly and I’m now relieved of much stress! Thank you, Tyler. I won’t hesitate to recommend W Properties to anyone who needs a no- hassle selling process. Tyler [W Properties] is a pleasure to work with! He’s worked with me on the sale of two properties and made the healing process a little less painful after a horrible family tragedy.. Thank you Tyler! You are the very best. He [Tyler, W Properties] was professional and patient with me while trying to make up my mind on what to do with my house. Always returned my phone calls. I would definitely recommend him to anyone. You can’t find a better person to deal with not only is he [Tyler, W Properties] a knowledgeable man but he is also a honest man as well. He is also very fair. I have done many real estate deals with W properties and Tyler, the owner, was great to deal with. He treats everyone with the utmost respect and always did what he said was going to do. Very transparent and honest. I would not hesitate to call him when I have a property to sell again. I tell you what….After working with Tyler [W Properties], I don’t want to work with anyone else if I ever have to do anything like this again. He made everything so simple and painless. He did all the work for us and explained everything along the way step by step. What was expected of both sides and when. It was so smooth, I actually thought I was dreaming. Thank you Tyler[W Properties]. I needed to sell my house quickly and without making repairs first. I contacted Tyler, and within days we met and agreed to a fair price……Tyler set up the closing with the title company and the deal was done. The whole process was simple and painless. I would recommend calling Tyler, especially if you are looking for someone local that is trustworthy. Everything went so smoothly. I really appreciate the fact that Tyler was so friendly and easy to work with. I would recommend his company to anyone. A big thanks from me!! Once our decision to sell our house to W Properties was made, things moved quickly and smoothly, We looked at other buyers, but Tyler’s [W Properties] offer was the most fair. Once we received our mortgage payoff. We closed within an couple of days. Tyler [W Properties] was very honest and open about the process. We would highly recommend him. Great guy to do business with. Wish you the best of luck Tyler [W Properties]. Thank you for all you did for us. Working with Tyler was a dream! He took care of all the details for us and everything was perfect all the way to closing. I highly recommend him and his company. Transaction was easy; felt like I was dealing with an honest broker, pleasant and professional. Great company and very trustworthy. After getting to know the owner, Tyler, I can honestly say this is one of the most knowledgeable and helpful companies out there. Just GREAT. That sums it up. Tyler [W Properties] is Excellent. Very Knowledgeable in his field! We have worked with W properties on multiple transactions over the last 2 years and have had nothing but positive experiences. They have become a trusted source for our off market properties, as well as a valued business partner. Sales was very easy. Some delay in counter offer because of vacation but once settled, things went quickly. Will deal with them again. Tyler responded quickly, met with us, and took care of business. I would recommend him [W Properties] to anyone. Thank you!!! Tyler was very helpful and knowledgeable. He got everything done as quickly has humanly possible. Great guy. Smooth, easy, and honest transaction. If I had another house, I’d sell it to him [Tyler]. Our transaction with tyler was very pleasurable. I would recommend Tyler to anyone contemplating selling their property. I had a couple rent houses in El Reno that I owned for 20+ years. Usually, I kept up on the repairs but over the last 5 years or so kind of let things go between life and living in the 45 minutes away. Houses got in bad shape, rents dropped. I was in a hole. So I called Tyler up. We met at the houses, he made me an offer later that day which we agreed on, and closed within 30 days. The check from the title company was short a couple hundred dollars so Tyler ended up writing a personal check for the difference. If I had more, I’d sell them to him! We had this house in the family for years and years but no one had lived there for the last 10 or 15. The city was set to demolish the house and stick me with the bill in a few months but I ended up selling it to Tyler, who closed on the house before the city tore it down. Stuck to his word, closed quickly, and took a huge weight off my shoulders. THANKS! After I inherited the house I tried to sell it a few times to different people but every one of them fell through. I then met with Tyler and 30 days later, we had a check in hand. Thanks for sticking to what you promised and thanks for helping the family out! I wasn’t sure what to do with the family member’s house I inherited. With me living out of state, it wasn’t easy to deal with. It was not even in livable condition. Tyler sent me a letter so I rang him up and we ended up striking a deal for exactly what I wanted for it. I didn’t even have to clean the house or anything!